The glittering ceremony of ITA 2018 took place last night and celebs put their stylish foot forward at the red carpet. Actress Divyanka Tripathi, who is loved as I****a from Ye Hai Mohabbatein, graced the event. She looked stunning in a shimmery gown. Divyanka was honoured with the award for Best Actor Jury. 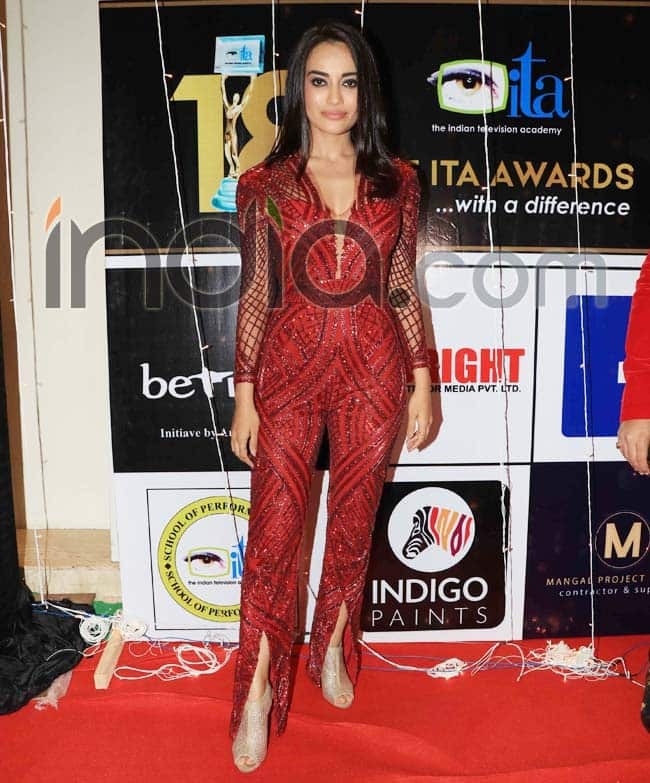 Surbhi Jyoti, who is seen playing the lead in the popular show Naagin 3, looked beautiful in a red shimmery jumpsuit. This is known to all that her show has been ruling the TRP charts ever since it started. Naagin 3 won the award for the Highest Rated Show. Sunny Leone, who is a style diva, also attended the event. She wore an off-shoulder white and black outfit. Needless to say, the lady looked gorgeous. She is currently seen hosting the TV reality show, MTV Splitsvilla. Naagin 3 actress Anita Hassanandani was all smiles for shutterbugs. She looked stunning in a blue outfit. The lady had barrels of fun at the event and she also posed with her co-stars.